A refreshing dip in the swimming pool and then to the city centre by tram. During the summer months, this is possible at Campsite Zeeburg Too. The inexpensive place to be for backpackers. Campsite Zeeburg Too is located at 400 metres from our main location. Here you can celebrate the summer for an advantageous price. You can pitch your tent for an extra attractive fee. You can swim for free in the nearby swimming pool Flevoparkbad and the tram near the exit of the swimming pool will bring you to the centre of Amsterdam in no time. Of course you can use all the facilities from the main location. Campsite Zeeburg Too is open from 21 June tot 26 August. Want to come camping with us during another period? 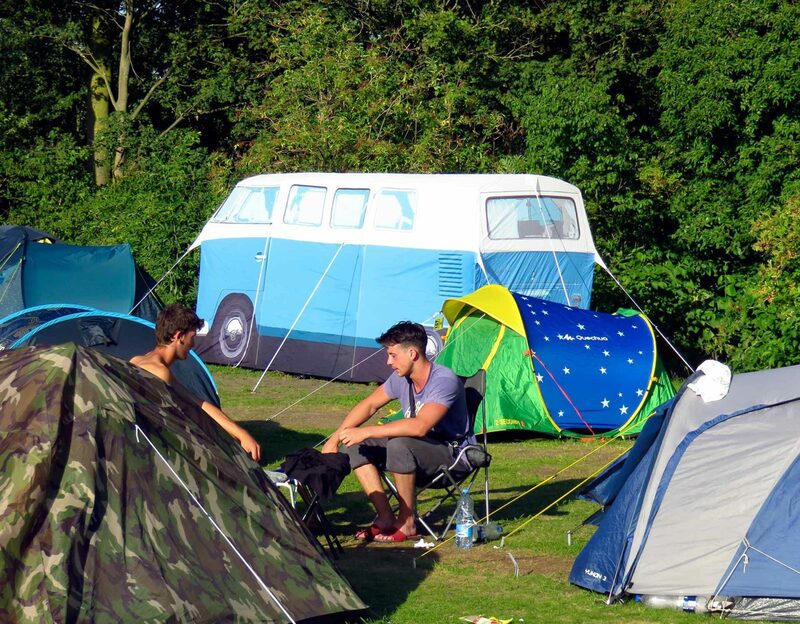 Then choose one of the camping fields at our main location at the Zuider IJdijk.